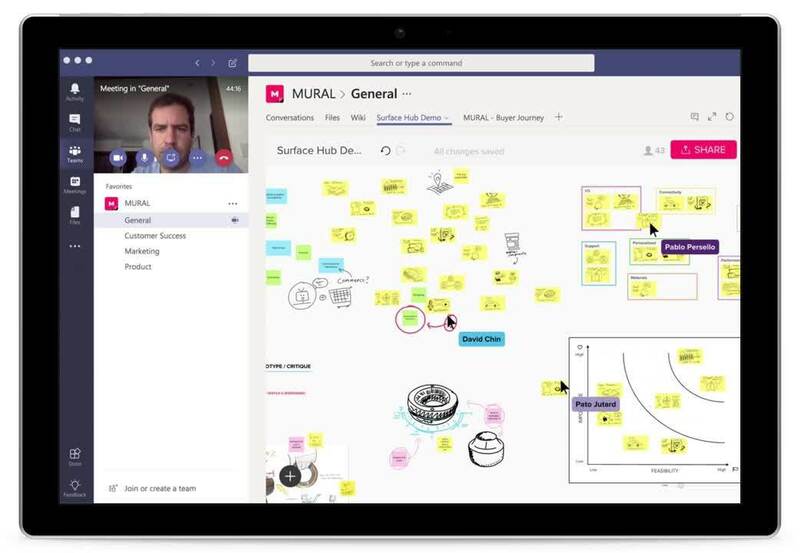 MURAL for Teams brings powerful visual collaboration capabilities directly alongside the chats, video calls, shared files, and tools of Microsoft Teams. Create new murals or bring existing ones into your Teams workspace, and then contribute and edit directly inside of the Channel to enable seamless collaboration. Using Messaging Extensions, you can quickly find the MURAL templates you need to run your design sprints, agile sprints, and sprint planning sessions. Add murals as Tabs inside of Channels where they appear conveniently alongside your team’s Conversations and Files. 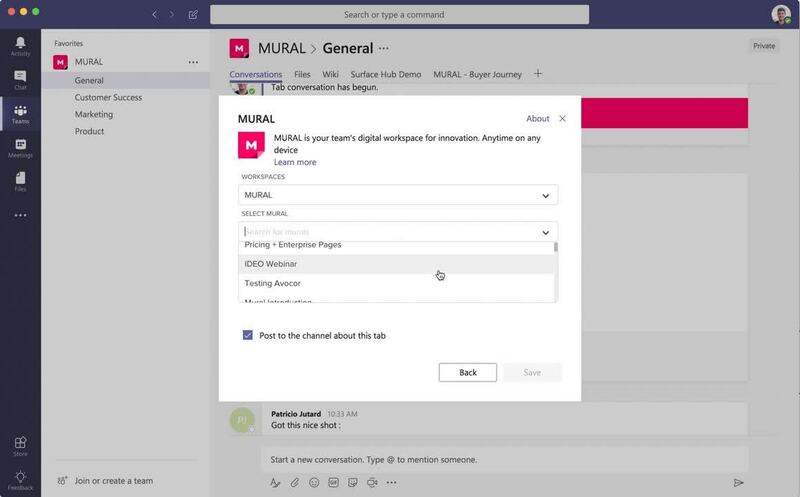 Get Microsoft Teams and MURAL to have your team working more efficiently and effectively. Copyright © 2019 Tactivos Inc. Some rights reserved.